#1 Best Reason why I like Macro Photography. And here is my #1 best reason why I like macro photography. This.... That's right, a plain old backyard. Doesn't look too picture worthy does it? Certainly not for traveling landscape photographers. But that's where you are wrong. You could say my grass needs to be mowed. I say this is a macro photography playground. With macro photography, you don't have to travel far to capture fun photos. You can be anywhere. 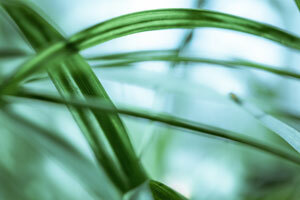 You can literally take photos of grass and get something interesting to use as a wallpaper for your device. Like this. Just look at that bokeh! Not interested in taking photos of grass? No problemo. There are many other small objects you can practice with. Like these. Let's just line up this tiger like so. Use some flip flops to prop up the camera and...... Amazing wildlife photography without leaving your backyard. Let's try the truck. Set the truck on a piece of stone. Lay the camera on the ground to get your composition and let's see how it looks. Now that's a fun photo to hang up in the garage. So what gear am I using for these photos? Well, my favorite lens is the Canon 100mm 2.8L macro lens. But you don't have to get an expensive lens to have fun with macro. For under $100, you could get a macro lens for your phone. The one I have is called the OlloClip but there are other brands. This specific one has 3 macro lenses on it. Each lens has a different magnification. One lense screws off to show the 3rd lens underneath. Pick the lens you want and slide it on your phone. Now let's take a photo of the truck again. You do have to have some steady hands for this but.... Those photos turned out great! Fun & creative photos that you can capture anywhere. Even in a backyard like this. That... is my #1 best reason why I like macro photography. I created this channel to share the fun of macro photography with you. Giving you the opportunity to vote for your favorite photo on each video. Like this one right here. And with that, I will leave you with a few clips of past videos. Enjoy!